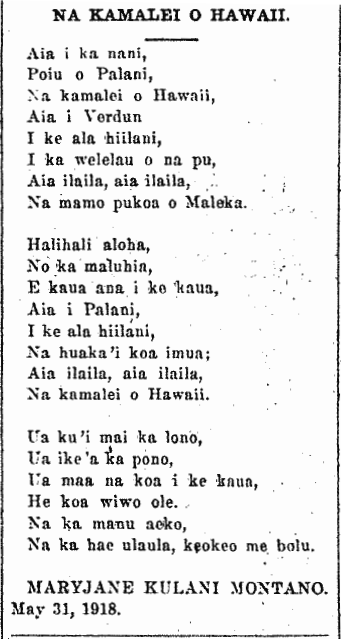 This was composed in honor of the Hawaiian boys who were fighting in World War I, and alludes to the Battle of Verdun. Na mamo pukoa o Maleka. Na ka hae ulaula, keokeo me bolu. THE BELOVED YOUTH OF HAWAII. The young fighters of America. For the red, white, and blue flag.